Imaginary play is very important in childhood. 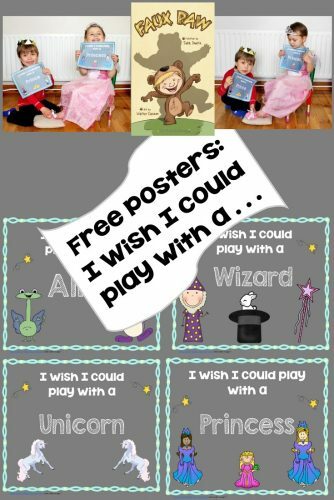 This post has a printable for dress-up play. 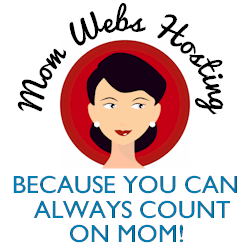 The idea stems from Julia Dweck’s Faux Paw children’s book, which I blogged about previously. 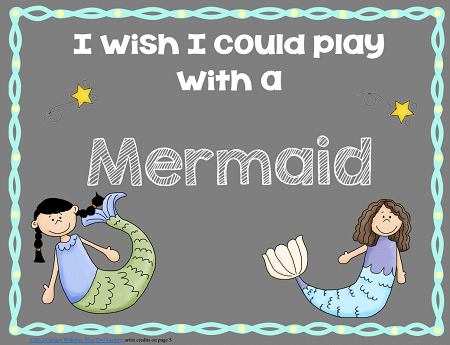 Has a child ever said to you she wanted to meet the Queen (and thought it was possible), or she wanted to play with a Mermaid? I have known children who wished to meet Harry Potter, and probably you have heard such wishes, also. This is a printable poster set for dress-up play and a photo op for children who have great imaginations! The talented students from Castleview Academy tried these posters. 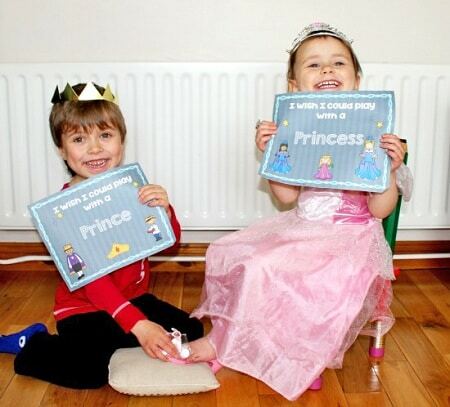 Here they are posing as a prince and princess. It looks like the princess lost her shoe recently. 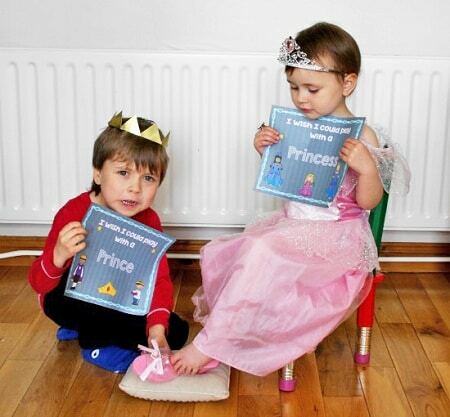 Maybe the prince doesn’t want to sell shoes when he grows up? These children vary between participating in the UK Parliament Week to making crafts such as the Golden Snitch from Harry Potter books. 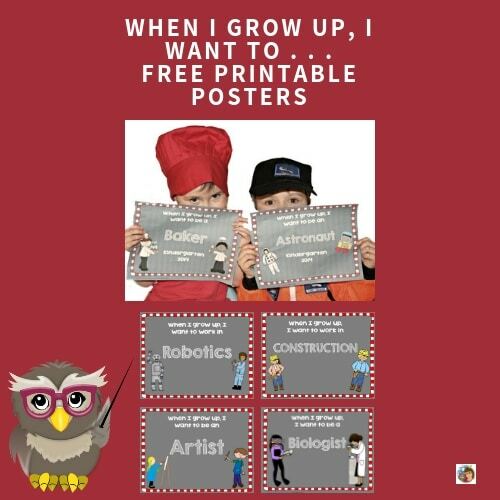 Wise Owl Factory has other photo opportunity blog posts with free downloads such as what do children want to be when they grow up. Do you recognize the children? 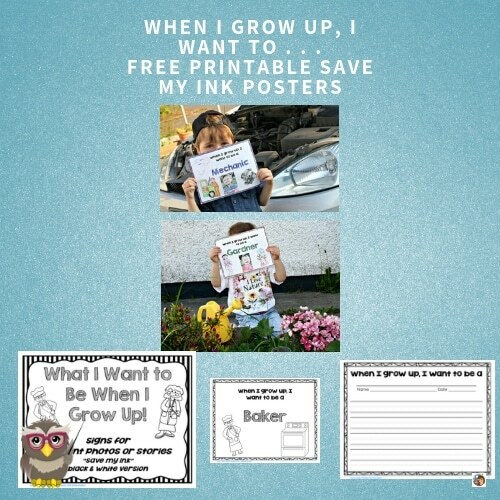 And the blog post with the save my ink version of the same posters.